Awesome gallery, Marc! I used to love bikes in my younger days and I really love looking at your images! Voted! Great collection of beautiful and colorful close up shots of all sorts of bikes. V! Waow ! ça pète de toutes les couleurs ! I like it very much how you shoot close up..
Détails et des couleurs fantastiques, pyrotechnique, vos photos sont toujours exceptionnels. V.
Excellent post processing work. Very creative compositions. Big V! Brillant, colorful and powerful pictures by the master of the kind : Marc ! BV. Great angles and colors...well seen and photographed! Colorful and creative set of images, Marc. Excellent gallery. Marc - your distinctive style works especially well on bikes. A very inspired group of images! Big vote on this one! beautiful gallery, wonderful colors, great work!! Wow.. this is like a candy store for a kid like me. The angle, the vibrancy, the artistry. You're the best. Every aspect of these bikes is a masterpiece of color and design! Your framing makes them art!! Very nice project and a good start. 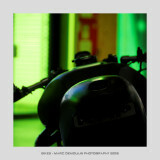 Your use of light is always very inspiring, Marc!!! Another amazing gallery Marc! Very impressed with your work my friend. 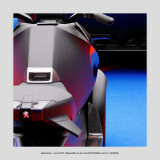 As of 6 photo, quant aux motos seems you are beating your own excellence!